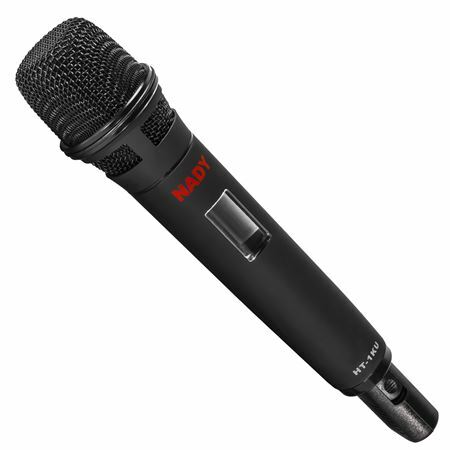 Order your Nady 4W1KU HT 4 Channel Handheld UHF Wireless Microphone System from AMS and enjoy 0% Interest Payment Plans, Free Shipping, Free Extended Warranty & 45 Day Money Back Guarantee. 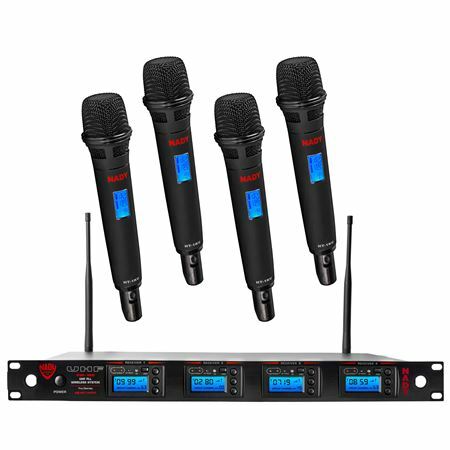 A great wireless system for practice or performance, the 4W1KU HT 4-Channel handheld is easy to set up and provides crystal clear audio for your band members. The 4W1KU HT is a full-featured 1,000-channel select UHF wireless system for the most demanding applications (quad receiver). Frequency agile operation and clear channel interference free performance. Four independent wireless receivers in one enclosure for simultaneous operation of four transmitters. Unsurpassed performance with 120dB dynamic range. True Diversity circuitry for worry-free operation and dropout protection. Up to 500’ range. 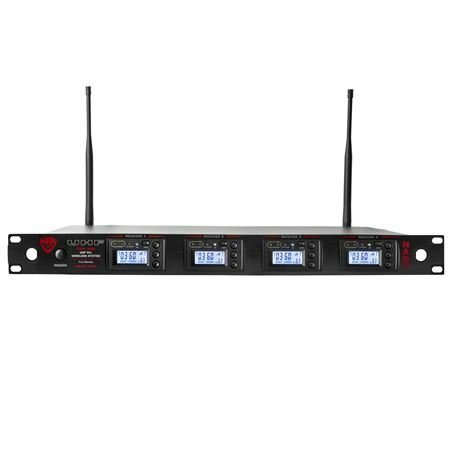 1000 selectable UHF frequencies per transmitter for interference-free reception with AUTO-SCAN feature for easy location of clear channels and ASC™ (Auto-Sync Channel) infrared download for easy frequency synchronization. 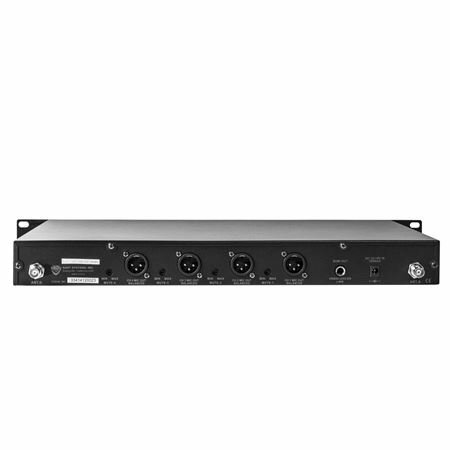 Rack-mountable receiver with 4 balanced XLR microphone level and 1 unbalanced 1/4” mixed line level audio outputs. Backlit LCD with user-friendly configuration menus indicating frequency, volume, and RF signal strength. All-metal body handheld microphones with the Nady DM-10 neodymium cartridge for clear audio and maximum feedback rejection. LCD display indicates group, channel, audio level, and battery level status. Operation with two AA batteries. Box contents: 4W-1KU quad receiver, 4 x HT-1KU wireless handheld microphones, AC adaptor, two removable BNC antennas, two extender cables for front mounting the antennas (preferable when rack-mounted), user guide, frequency chart. The sound quality is great, nothing but compliments from all speakers and singers. Your people is on the top of there game with their recommendation of our Nardy 4W1KU HT 4 channel handheld mics and I can’t wait to try the lapel mic. All I can say is WOW! It took a minute to get them synced to the best channels but the range is awesome and the sound is great.